In 2018, TCGMC partnered with Avenues for Homeless Youth and You Betcha Box (formerly “Share Local Love”) to create the TCGMC Youth Experience, which provides free & minimal cost concert tickets to LGBTQ youth and their caregivers. The Chorus is committed to bringing our music and welcoming message of acceptance, hope and support to everyone! What is TCGMC Youth Experience? Our first beneficiary of the TCGMC Youth Experience is Avenues for Homeless Youth’s GLBT Host Home Program. The GLBT Host Home Program offers a transformative and intimate approach to providing gay, lesbian, bisexual and transgender youth who are experiencing homelessness with homes and support. All youth who participate in our program are queer identified and the majority are persons of color. Learn more about the GLBT Host Home Program. How Can You Support This Program? TCGMC concluded its first fundraising campaign for this new initiative. 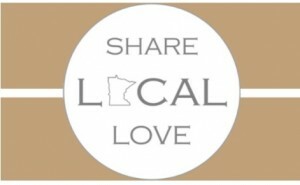 Audience members were able to purchase Share Local Love (now “You Betcha Box”) Minnesota Gourmet Gift Boxes. 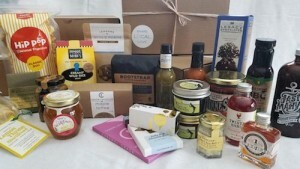 In addition to supporting small Minnesota businesses and delighting in the highest quality, locally crafted, artisan foods, approximately 30% of every box purchased will fund our new outreach initiative. Our long term goal includes partnering with other beneficiaries to grow the program to invite more LGBTQ youth in to the safe space of Ted Mann Concert Hall and experience the wonderful music of TCGMC.